Jack’s enthusiasm for life isn’t just infectious, it carries over into his work and most importantly the mission of the Social Mercenary. We bumped into each other through Challenges Worldwide . 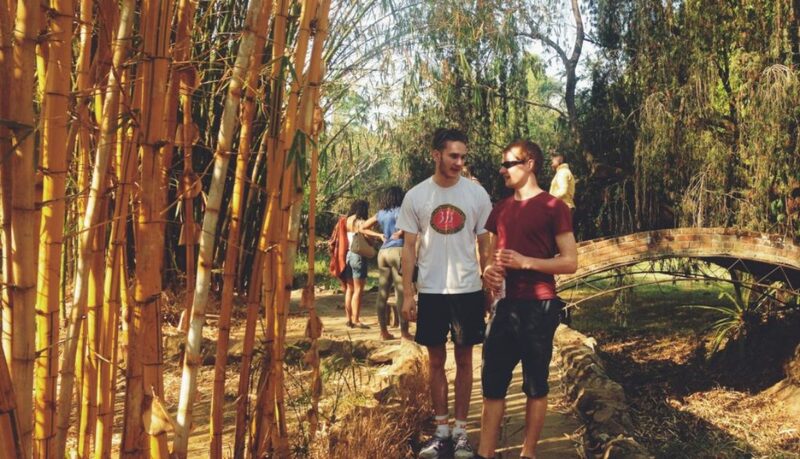 While he was working in Ghana, I was working in Zambia and we both went on to various things in Hong Kong. I also like to think of myself as a positive person – great minds think alike – and I supported his work on the fledgeling Social Mercenary in Hong Kong.  Here’s my contribution… the first logo! It only took me 2 hours on paint. It’s only been a few months and yet the Social Mercenary has grown and is showing signs of taking root. Jack asked me to write a blog piece about why I joined The Social Mercenary, but the why is in the name. 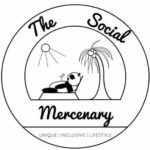 The Social Mercenary is about more than just being a new brand and smashing deliveries out to whoever orders; the idea is to empower both the consumer and the producer. 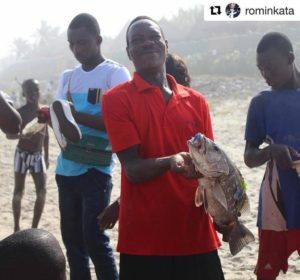 Simply put, The Social Mercenary isn’t about helping, it’s about partnership; putting entrepreneurs in Ghana on equal footing with their peers in Western markets. Ghana is an under-developed opportunity that is at the heart of regional power in West Africa and before I slip into political mode and start discussing the effects of post-colonisation. I believe that like many less developed countries beyond the West, Ghana has not been given the respect or opportunities it deserves, and businesses like the Social Mercenary are working daily to remedy that. The Social Mercenary is not a panacea for all ills, but it isn’t meant to be. 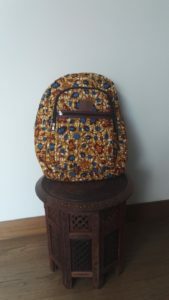 What I like about it is that it is set up as a platform; the blog is about getting attention to products that leverage the skills of people in Ghana. It’s about creating more ‘Social Mercenaries’ who believe in a better way of doing business and engineering collaborative social change. It’s also not all about Jack. Don’t get me wrong; Jack’s a great guy, but the important thing about a collaborative effort is the movement of the whole community and that’s what TSM is about; the army pulling together. I’d like to think that in some small way, I can be a part of that army – but also that anyone can. I’m helping out Jack physically now with everything and anything TSM, but you can join the movement too by buying one of the bags, sharing something, or following the blog, even if just while you wait for the Social Mercenary t-shirts, hats and second generation bags that we’ll be launching soon [watch this space]. I’m looking forward to the next few months and the Kickstarter and a couple events we have coming up, but the main thing is to make sure we lay good foundations for the greater things that the Social Mercenary has coming its way. The Social Mercenary is not something that will materialise overnight, but with its goal, and while the army grows, I’m happy to say that I can be a Social Mercenary! Are you more of an interactive learner? 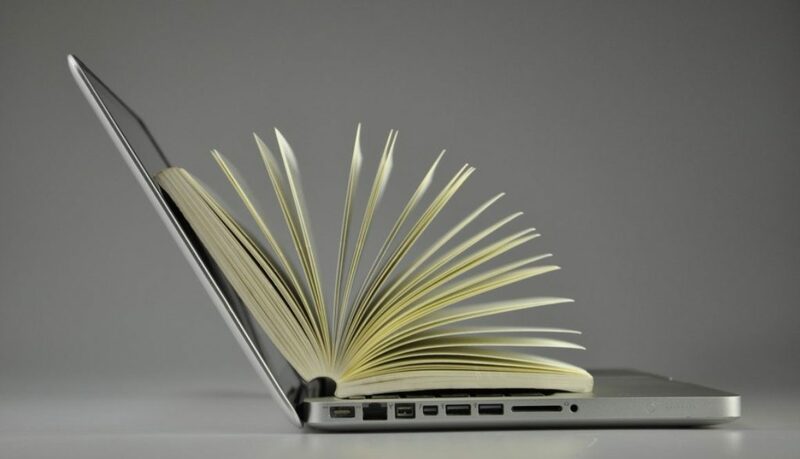 Not the biggest bookworm, or trying to cut down your screen time? A podcast may be for you! Perfect for on-the-go learners, podcasts are a free, quick, and easy way to give your brain a good workout. Podcasts were never the most popular form of media. An improved interface, celebrity involvement, and programmes like Serial inspiring cult followings, however, have rocketed them into the mainstream. While listening for leisure is a great option, podcasts are also great for learning new information or skills. If you’re looking to be inspired, informed, or just want to see what the fuss is about, here are a few of our favourites. Passionate about podcasts? 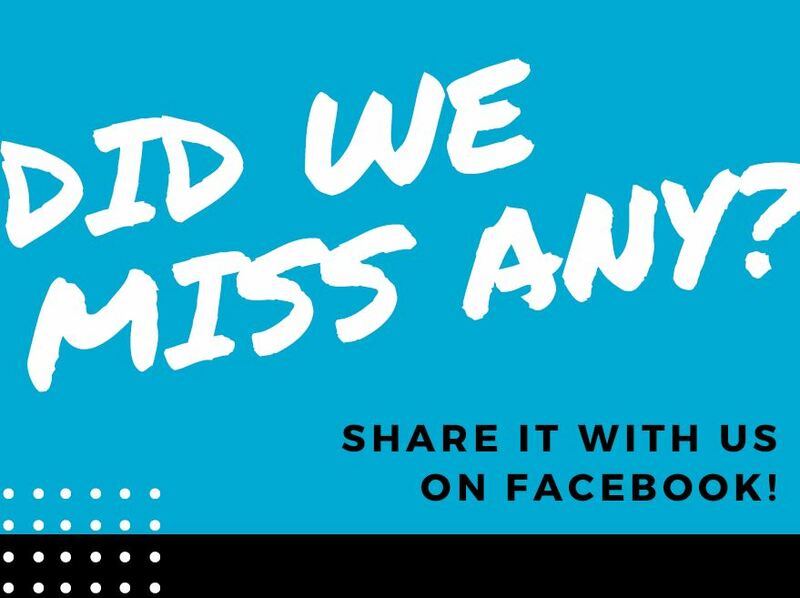 Did we miss out any great ones? Let us in on the secret! 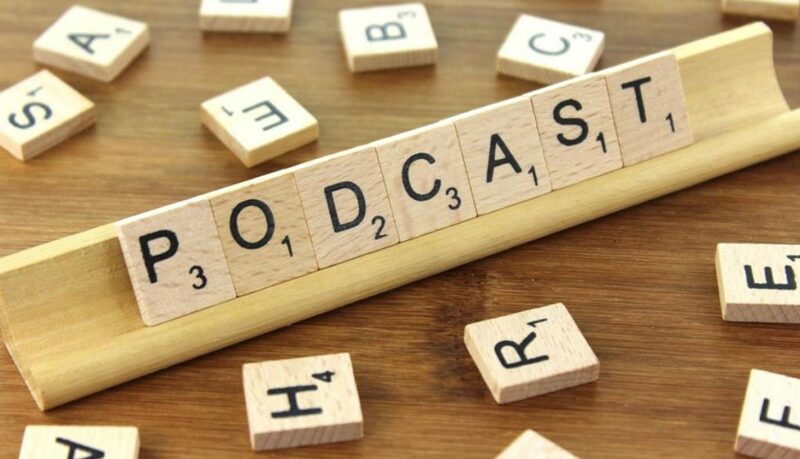 Whether you’re looking to learn new skills to help you in the workplace, want to challenge yourself to be more socially aware, or are simply a curious soul, podcasts have a lot to offer. Even better, episodes range from under 30 minutes to over 2 hours. So, no matter your schedule, there’ll be a podcast to fill it. Have a listen on your lunch break, distract yourself during that workout, or zone out on your commute. Happy listening! Want more content like this? Check out the ‘Skills’ category for more! Whether you’re looking for a job, beginning your career, or are fully stuck in, make sure your professional development is a priority. Lifelong learning is more than just a catchphrase: it’s an attitude shared by the most successful people in the world. One of the beauties of the Internet is the availability of expert advice at your fingertips. With a wealth of opportunities to grow and evidence your skills base, improving your employability has never been easier. Here are a few of our favourite opportunities! …But not for the reason you think. Learning to code is not an easy fix. It is not a magical solution to unemployment and debt. As always, reality is more complex and a dose of scepticism is healthy! Don’t learn to code because it will land you a job as a developer (unless you seriously invest in it, it won’t). 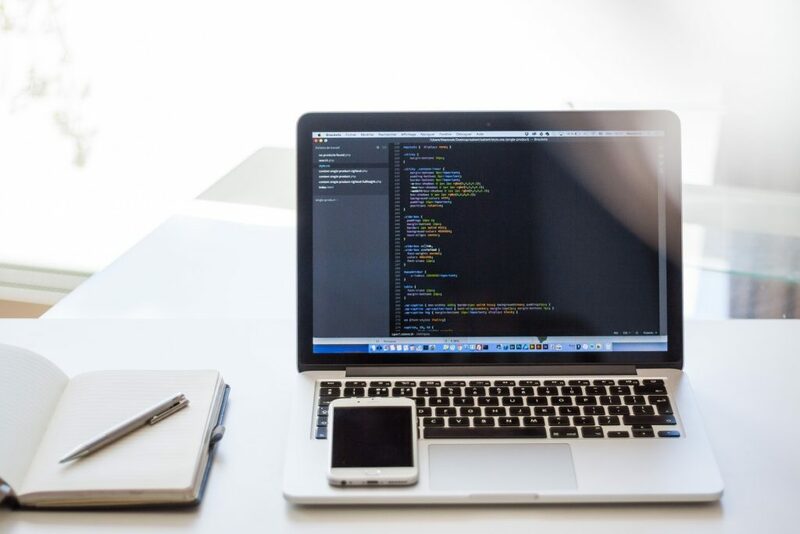 Instead, learn to code to understand the basics and improve your digital literacy. For women who want to run the world: what about Women Who Code? 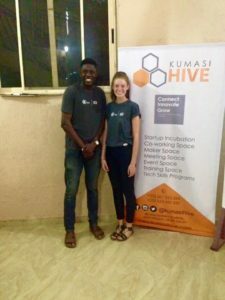 Rosie, who volunteered with us in Kumasi last year and is heading up a team in Rwanda this Summer, wrote us a blog about her experiences with WWC in Ghana. Consider taking an online course with a reputable provider. It’s a great way to keep learning, stand out in your field, and earn certifications. Taking your professional development into your own hands requires a lot of motivation, but shows you have the discipline and drive to succeed. With so many different sites, there’s a course out there for everyone. You could choose to learn something totally new or to deepen your current understanding of a subject – and levels range from broad overviews to ‘MicroMasters’. MIT Open Courseware is one of the most well known for technical subjects. Their Entrepreneurship courses come particularly recommended! You’ve been trained in it on your placement. You have the experience you need to pass it. You’ve trusted Challenges with your professional development for those three months – and you know we do everything we can to support your learning. It would be wrong to miss CMI qualifications off this list! Make the most of the work you’ve already done by converting your training to a qualification. As you know, Challenges offers Level 5 CMI qualifications in Professional Consulting. In response to your feedback, we’ve also introduced Management and Leadership! M&L is targeted at Team Leaders, who will all receive training from now on – but can be done by anyone ambitious, entrepreneurial, or innovative. Want to prove you’re a natural born leader? Looking to learn how to manage others efficiently and effectively? A CMI qualification with Challenges can help you grow and prove that skill. YouTube is actually the world’s second largest search engine. It’s not far behind Google, and definitely not one to underestimate! It’s a rogue one on our list because it does not offer qualifications, but we couldn’t leave it out. Not just a platform for beauty tutorials and mildly distasteful pranks, YouTube is full of videos on practically every topic imaginable. From TED talks to entrepreneurial workshops, ‘life hacks’ to motivational messages, YouTube is an incredible resource on a vast range of topics. It’s free, accessible, and the content comes in easily digestible bites! So why not procrastinate productively next time you’re browsing? Want more content like this? Check out the ‘Skills’ tag for more! Last June, I departed the UK on what was sure to be an adventure. I was heading to Kumasi, Ghana as a team leader with Challenges Worldwide for 3 months. Although I had no idea what lay ahead of me as I began that 24 hour journey to Accra with the other team leaders, I could never have envisioned that, fast forward 7 months, I would be stood speaking about my experiences at the Houses of Parliament in front of the head of DFID, Lords, Ladies and a group of MPs. When I applied for an ICS placement, I had just secured a job in London and was looking for something to fill my final extended summer. I wanted to travel, but having already taken a few too many ‘gap years’, this time I wanted to give something back. I’d heard horror stories about the voluntourism industry: “They’ll knock down anything you build for the next group”, “You’re money’s going to a selfish and greed-driven organisation”, “Why are you paying to volunteer your own personal time?” These are all valid points that highlight real issues around this industry, and they resonated in my mind as I searched the internet for opportunities to combine my wish to travel with my want to do some good. ICS was something I learned about from Facebook. The DFID funding gave it credibility, the opportunity to work in partnership with other young people was unique, and the breadth of projects and countries was exciting. I had no real idea as to where in the world I’d like to end up or with which organisation, I just knew that I wanted to be involved in an entrepreneurial-focused initiative. Everything I’d read and believed pointed towards the sustainability of development when the power of business was harnessed in the solution. No more questions about what happens when the funding stops and the volunteers leave; upskilling business owners and making a positive impact to an economy as a whole should have a far reaching and long lasting positive impact. Two weeks after my initial application, I heard I would be interviewing for Challenges Worldwide. Another quick trip to my go-to google and I realised this project aligned perfectly with my aspirations. No more questions about what happens when the funding stops and the volunteers leave; upskilling business owners and making a positive impact to an economy as a whole should have a far reaching and long lasting positive impact. The work the volunteers did whilst on placement was fantastic. 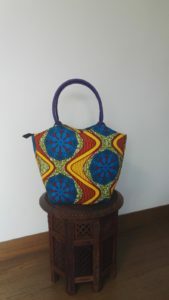 Over the space of the 3 months, they made a real impact on 9 businesses within Kumasi. However, what led me to the Houses of Parliament, and what I’ll focus on in this blog post, is the social impact that bringing a diverse range of people and a community together can have. Impact Day Committee – required to identify a need within the community in which the team are living, and organise a day of action to tackle this. As a team leader, I headed up the Communications and Impact Day teams, and my counterpart Lukman took charge of the MPR and Social committees. It’s at this point that I’d like to challenge you to take a look at the below picture and ask yourself: what you believe you see? We’ll revisit the answer to that shortly – but first, I’m going to explain how this picture, and the Impact day it was taken at, came about. As previously mentioned, part of every ICS project is a team “Impact Day”. Although the eventual outcome of this event is tackling a social problem, it was clear that due to the nature of the Challenges programme it would be best to take an entrepreneurial approach. The easiest way for a group of newcomers to a city to do this would be to join forces with an already established network. 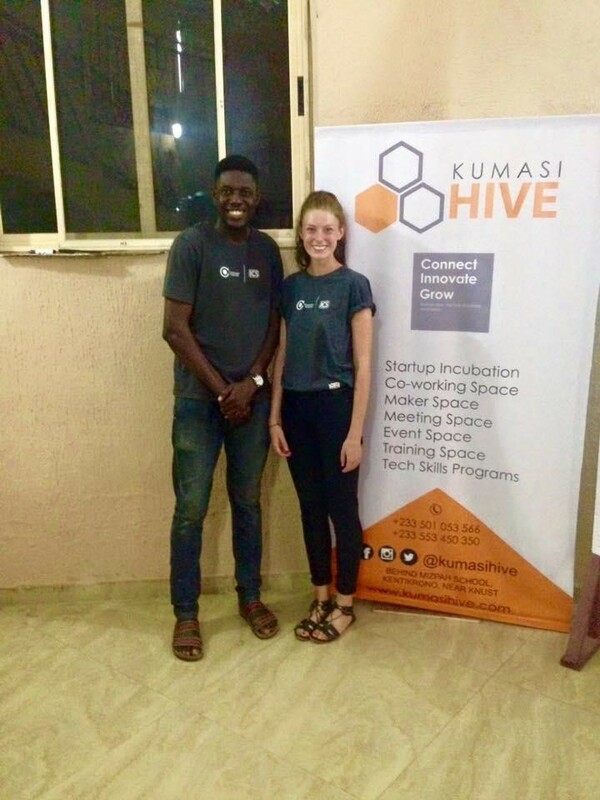 In our case, however, Challenges was as new to Kumasi as we volunteers were, meaning we had no existing connections. We, therefore, set about searching for charities and volunteer groups, talking to host homes and businesses, looking online, and reaching out to friends. An orphanage affiliated with one of our businesses approached us for help. However, in order to mitigate the ‘voluntourism’ risk that I spoke about before, there has been a shift away from working with children on any Challenges Worldwide ICS placement. Challenges’ 20 years of expertise centres around sustainable business development in emerging economies and their work delivering ICS seeks to disrupt the status quo of unskilled young westerners undertaking short-term projects that can cause more harm than good. Therefore we were encouraged to approach our impact day activities with sustainability and long-term outcomes in mind. Weeks passed, and ideas came and went. We all wanted to make a real lasting impact in the community that had welcomed us so nicely, but – like anything in a developing country – overcoming obstacles was a daily challenge. Thankfully, using prior university contacts from home, I managed to contact a social enterprise, SanEco, who wanted to help. 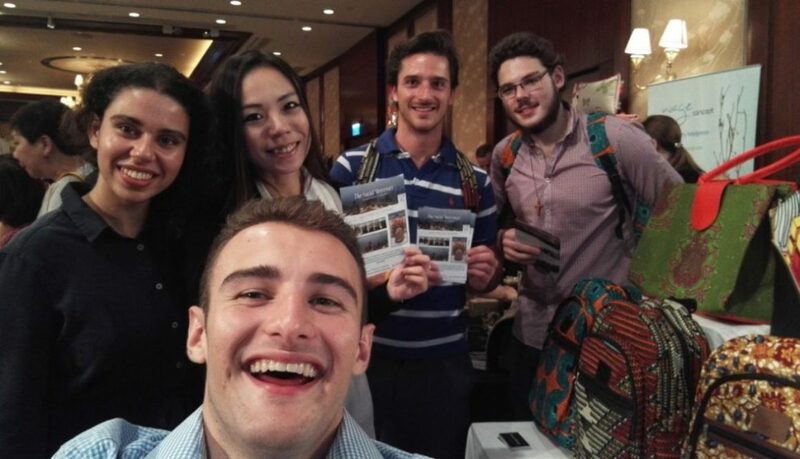 Saneco is the brainchild of The University of Southampton’s Enactus Society. In short: SanEco have identified a way to create reusable sanitary towels from readily available and affordable materials. 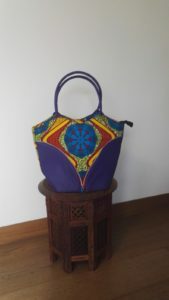 They train unemployed members of communities to make and market these products with a focus on also educating women on their bodies and menstrual cycles. Through this initiative, social entrepreneurs are created. 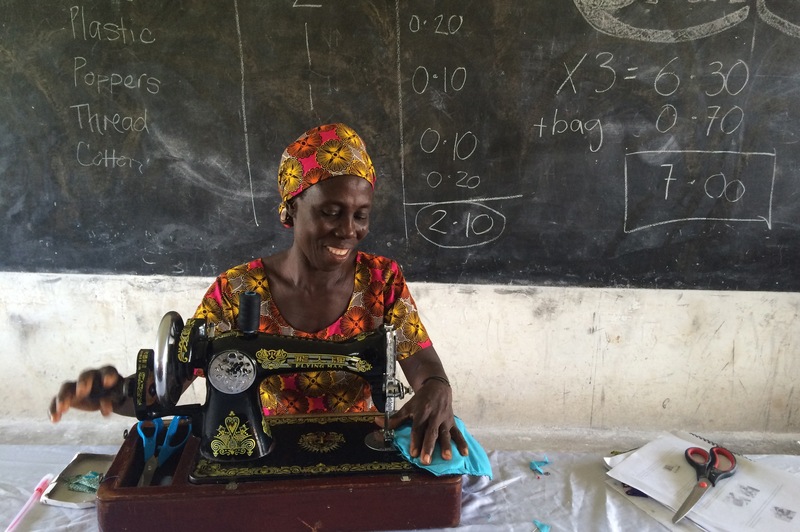 By increasing these people’s income, they directly tackle poverty levels. These entrepreneurs also increase the standard of living of the females in their communities, who would now have access to affordable sanitary products, allowing them to continue with their normal lives whilst menstruating. I pitched the idea to the Programme Manager and our Impact Day Committee and they all loved it – but they would, as a predominantly female team who understood these issues and were comfortable speaking on the topic. The real issue would be introducing the concept to the male members of the wider team and, as expected, there were mixed reactions. We, as Westerners, like to believe that we stand for equality and share the mutual respect to discuss health issues and topics such as the natural processes of the female body. It’s all too easy to think that the male/female divide is only now a problem in lesser developed areas; however, initial reactions to the Saneco topic highlighted that so-called ‘taboo subjects’ are also still prevalent in Western society. It’s all too easy to think that the male/female divide is only now a problem in lesser developed areas; however, initial reactions to the SanEco topic highlighted that so-called ‘taboo subjects’ are also still prevalent in Western society. After a few difficult conversations and a hard stance from the Impact Day team that this was how we would proceed, we got everyone on board. We would deliver workshops in the morning, transferring skills that are essential to any business: budgeting, marketing and bookkeeping, to name a few. We would then introduce the SanEco programme in the afternoon, and apply what we had taught in the morning to the product. The team were excited and the day began building momentum. We bought materials, secured a venue, did shout outs on the radio, printed and handed out flyers, reprinted and red-handed out flyers and attended church ceremonies to spread the word. Before we knew it, the day was upon us and all we could do was wait to see if anyone turned up. The morning workshops went without a hitch. The participants were actively engaged, offering examples, asking questions and genuinely enjoying themselves. We broke for lunch and got ready to introduce SanEco. There was a buzz in the air. We had decided to market the initiative only as a new ‘social enterprise idea,’ in order not to discourage anyone from attending before they understood the initiative. However, to our surprise, when we revealed what we would be showing them, the excitement remained in all participants! We began walking them through the process of creating a sanitary pad. Unfortunately, as accomplished as we all felt for pulling off this day, it turns out that we’d overlooked the slight issue that none of us could use a hand operated sewing machine, which was the main component of making these pads. Thankfully, and with some quick thinking, we threw it out to the audience and were extremely relieved when a lady in the front row was more than happy to help. She came up to the front, and in less than a minute, we had our first pad. I pulled out my iPhone and quickly snapped the above image. When I earlier asked what you thought my picture showed, I’m sure you didn’t guess the answer. A woman empowered by a group of young people with the tools to start her own business tackling women’s needs. Since returning to the UK, I’ve been overwhelmed by the interest in this image. 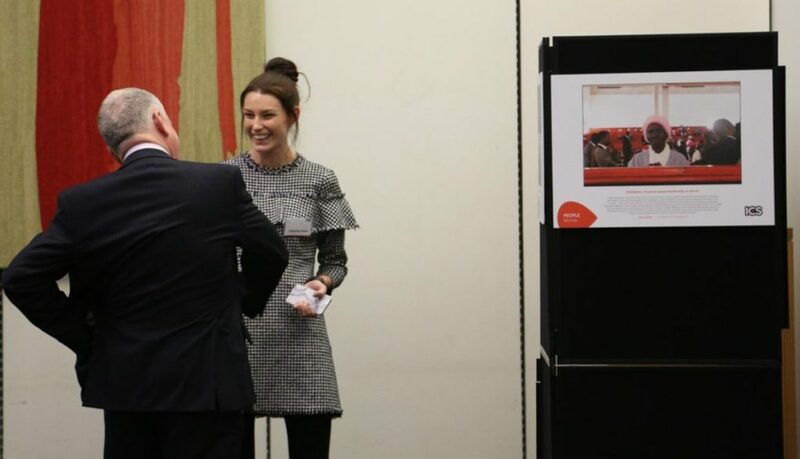 It’s been in newspapers, been voted top 10 out of over 400 entries in the ICS photography competition and allowed me to attend a showcase at the Houses of Parliament, discussing my experiences with some of the most influential people in the country. The Houses of Parliament showcase was the first time since returning from my placement that I really had the time to sit back and reflect on the difference that we have made and can continue to make. Meeting volunteers from other ICS organisations has reiterated the positive impact that young people are making across the world. Challenges and ICS represent the opposite to most stigmas that are attached to young people nowadays. Lazy? No. Uncultured? No. Shying away from community spirit? Not that I’ve seen. Challenges and ICS represent the opposite to most stigmas that are attached to young people nowadays. Lazy? No. Uncultured? No. Shying away from community spirit? Not that I’ve seen. With the changing, and somewhat frightening, world that we live in today, it’s never been more important to spread the word on the positive impacts that collaboration across borders can make. I spent 3 months living in a country where I was a ‘foreigner’, and quite frankly the experience would have been impossible without the welcome, help and support I received from my Ghanaian colleagues. Pictures, to most, are a way of preserving memories. They have always been a very personal experience for me. However, what I’ve learned from this experience is that they also serve as a tool to spark curiosity, spread positivity, and tell a story. I’m not promising all pictures will end up with you in the Houses of Parliament, but I have seen first-hand that people want to know about your placement, they are interested in learning from your experiences and it’s actually pretty fun to relive them through sharing your story. So: post your pictures, share your stories and remember that the Challenges Worldwide ICS experience is a truly unique one. The decision to start a new business can be one of the most important steps that any person(s) can ever take, and this goes beyond just the business aspects. · Inadequate regulations, insufficiency hinders the growth of these small businesses and makes it difficult for them to seek redress in the law courts, that is, the poor enforcement of contracts. 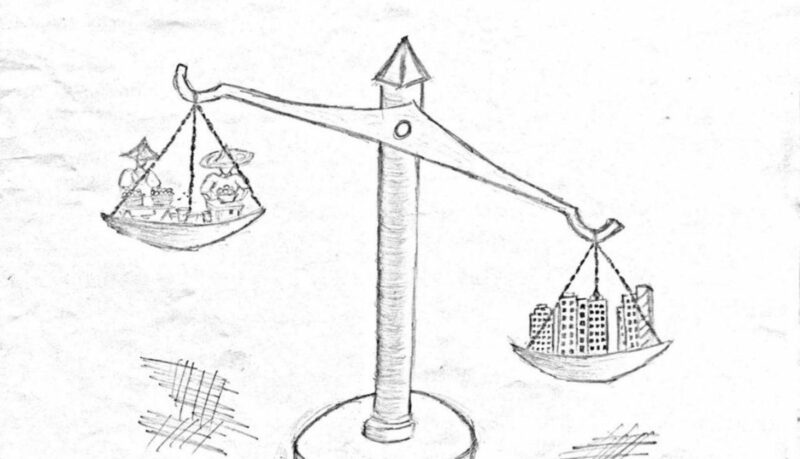 · Poor administration of regulations and lack of clarity, some of the existing regulations are complex and bureaucratic. They need to be clearly defined and certain processes (government agencies) taken out of the processes for effective delivery and to eliminate the duplication of processes among them. · Lack of awareness, the laws and regulations need to be properly communicated and promoted to these small business owners, to give them a better understanding and appreciation of them. Sound economic policies go a long way in creating the needed desired ecosystem for MSMEs to excel on the backdrop of predictability. Economic policies need to give small businesses the room to be able to explore and exploit every economic opportunity by achieving; low budget deficits, low deficits, competitive exchange rates, etc. For instance, unlike larger enterprises who can hedge against high inflation and other unfavorable economic indicators by hedging to minimize their risk profile, small enterprises cannot afford that luxury and room to operate. It is important to say that, certain policies adopted will be political, but they should be implemented with sound analyses for the benefit of every economic agent. Forming cooperatives and working to create community links can be beneficial both in terms of cost cutting and heightening morale for MSMEs. This is a very important way small businesses can overcome the major hurdles that confront them in areas such as; accessing affordable finance, and other economies of scale. Working collectively, and organizing workshops to learn from participants’ experience to help them gain insights into how to go about certain situation. Some of these clinics can help support members, with the support of technical assistance agencies, including voluntary non-governmental organizations such as what Challenges Worldwide does by recruiting qualified young people and training them to offer technical expertise as Business Support Associates of which I am a proud beneficiary. 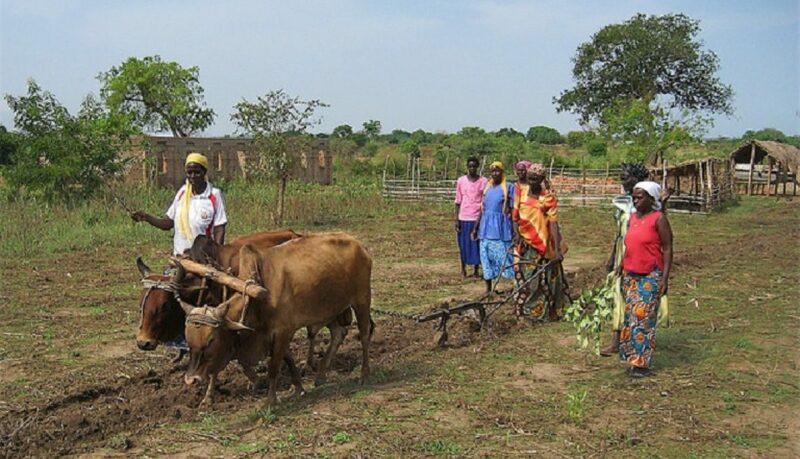 These partnerships through cooperatives can help them secure affordable credit at lower borrowing cost by lowering their individual risk profiles as a group due to certain formalization of their industry-related operations. It would afford them the opportunity to secure finance without having to struggle with certain stringent requirements such as collateral, enjoy economies of scale by buying at discounts, engaging in its own research and engage in sophisticated marketing. The alchemy of turning ideas into sellable, and appealing solutions to everyday problems is a mark of successful entrepreneurs. Setting realistic goals and timelines in achieving those set goals to create empires. MSMEs owners must also do well to have a succession plan to steer affairs even when they are no more. Their successors must be trained and equipped with the needed technical and entrepreneurial skills through mentorships, apprenticeships and other techniques. This preserves the original vision of the business without aberrations from their core business and internal wrangling of power. This is a major setback most small businesses in Ghana face and mostly fold-up when the brainchild is no more. This repels investors from putting their monies into such so-called “one man” business, and having a clear succession plan would appeal to investors. · The fear of business interference, especially when requests are made to examine business documents such as accounts and taxes. Financial institutions are often reluctant to deal with MSMEs in Ghana due to high risk of default than the corporates. Also, bookkeeping skills is an issue because some do not keep any financial records (usually scant) and are mostly less transparent. There is the issue of not separating business account from personal accounts, and this indicates the poor quality of management. 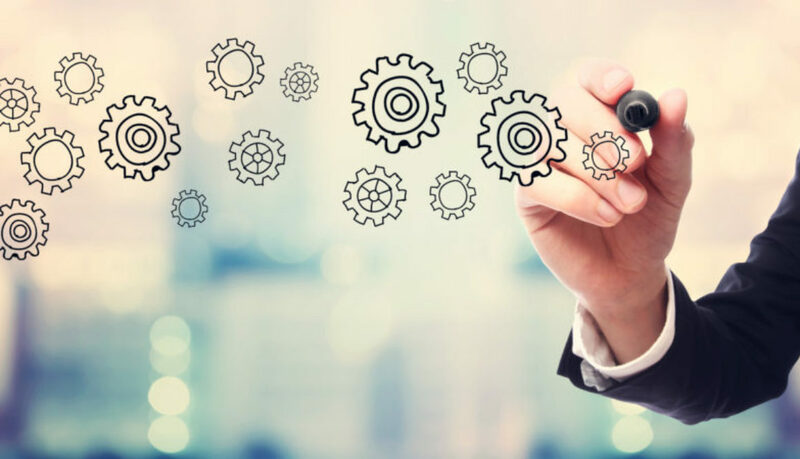 This hurdle can be overcome when business owners prioritize their needs and spend efficiently, and ploughing back profits into the business. Also, other alternative sources of financing that are longer-term in nature. For instance, small businesses with no product differentiation can come to a mutual understanding and merge to pool resources together. This could also afford them the opportunity to list on the Ghana Stock Exchange Alternative Market (GAX) which has more relaxed requirements as compared to the main stock exchange, to go public to secure longer term finance. However, this will still be on a high side for many MSMEs present but one thing is clear, the need for collaboration to pool resources in the form of long-term equity financing rather than short-term debt financing is the way forward. In a nutshell, with an enabling ecosystem from the various state supporting institutions, the right collaboration amongst major stakeholders, determination from the entrepreneurs, Ghanaian businesses are going to soar higher. We should take a cue from the Asian Tigers who have used technology and their creativity to infuse themselves into the global value chain to compete with their counterparts from the West. Aryeetey, E.A, Baah-Nuakoh, A., Duggleby, T., Hettige H., and Steel, W.F., (1994), Supply And Demand for Finance of Small Enterprises in Ghana, Discussion Paper № 251, Technical Department, Africa Region. Washington, D.C., World Bank. Kubr, M., (2002)…Management Consulting.4th.Geneva, Switzerland, International Labour Organisation. Storey, D., (1994), “Understanding the Small Business Sector”., Routledge, London. pg. 33–55. 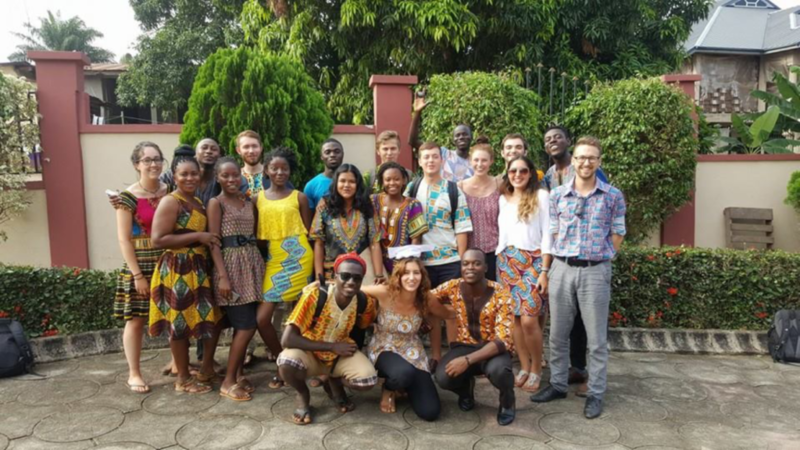 Jack Hamilton Fellows, took part in Challenges Worldwide ICS placement as a Business Support Associate, delivering a consultancy process to a business in Accra, Ghana during summer 2016. 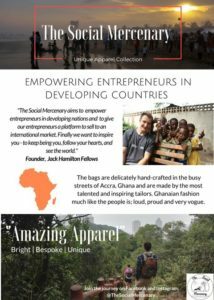 Since his placement in Ghana ended, Jack has gone on to work for a startup in Hong Kong, supporting them with their digital marketing and has founded The Social Mercenary, a brand and website that’s mission is to inspire a community of change makers. We caught up with Jack to see how The Social Mercenary has evolved over the past few months and what his plans are for 2017. Hi Jack, thanks for your time today, it’s great to see The Social Mercenary taking off, could you tell us why you decided to found The Social Mercenary? 3) Health and wellness (it’s an area I’ve always found interesting plus it’s so important to keep fit and healthy to live the best life possible). That’s great to hear that you are continuing to display the Challenges Worldwide ICS ethos. We notice that on your website you now have a shop section. Could you tell us about your plans for the shop? The Social Mercenary has a range of apparel. 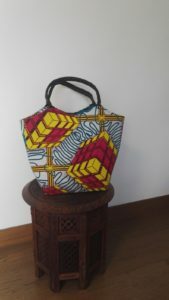 We currently have 90 bags from Ghana in Hong Kong ready for a Christmas fair at the Conrad (A 5 star) Hotel. The ultimate aim of this platform is to give grass root entrepreneurs in developing countries access to a worldwide market. 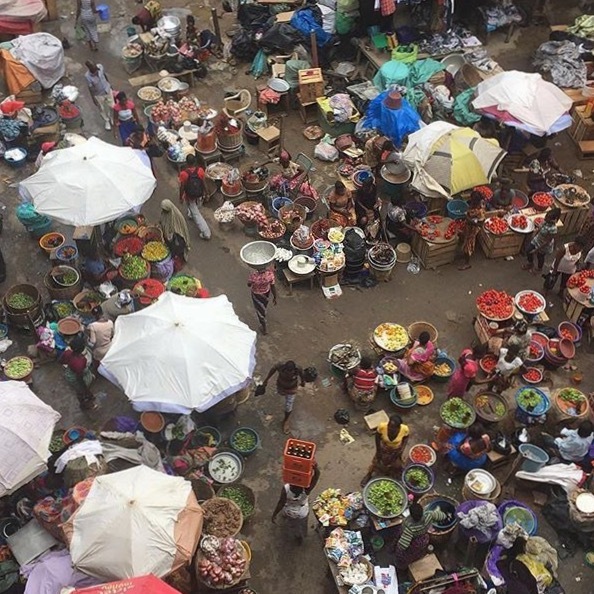 We essentially help market their product but in the long term, we hope we can invest in the businesses to help support any growth that comes with supplying a world market so that the entrepreneur can have continued success. 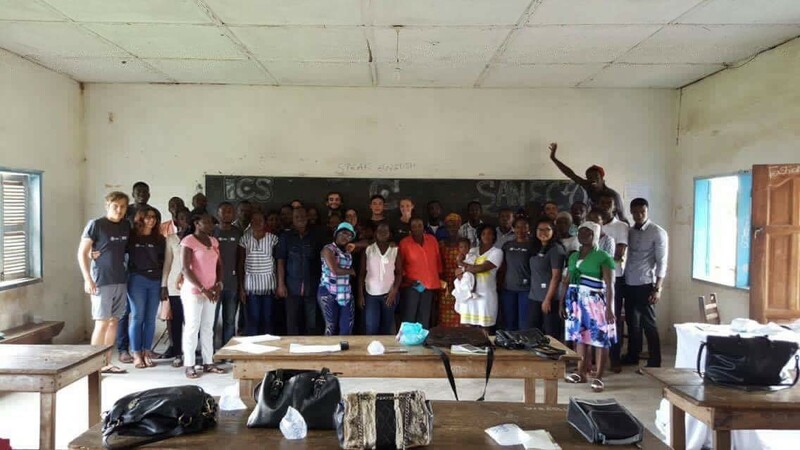 I created the blog to capture the Challenges Worldwide ICS placement in Ghana. 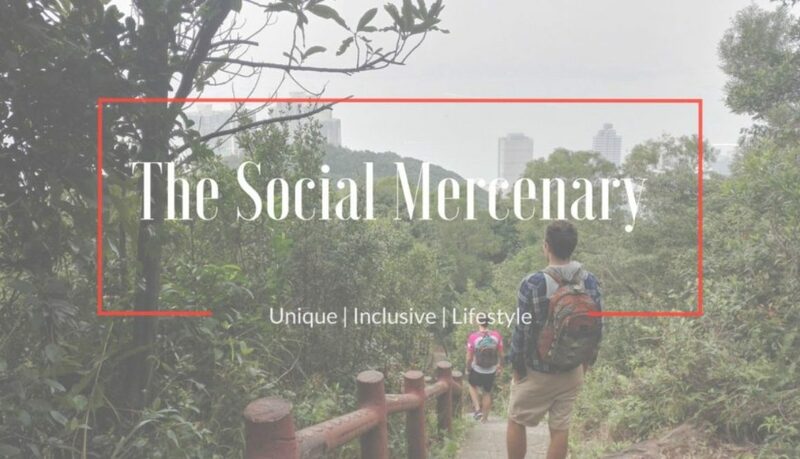 The title “The Social Mercenary” is a complex juxtaposition that on the surface was supposed to indicate economic empowerment via entrepreneurship. At the time I thought that by helping a business grow and to then become profitable it would then have subsequent social values. This ties into the Challenges Worldwide ethos that was embedded during my placement in Accra. How do you think your Challenges Worldwide ICS placement helped prepare you to be a “Social Mercenary”? First I want to point out that this is a community and so if you have a passion for making the world a better place then you should certainly get involved! Going back to my Challenges Worldwide ICS placement the skills and experiences I gained were incredible. I worked with a company that sold smoked fish which on the face of it doesn’t sound too inspiring. However, it opened up a lot of lateral thinking that has helped me out to date. For instance, I had to understand the domestic market for which there has not been that much market research as such I calculated the market size (which was huge) and with the business we thought about a revolutionary strategy to bring hygienic smoked fish, economically to the masses. 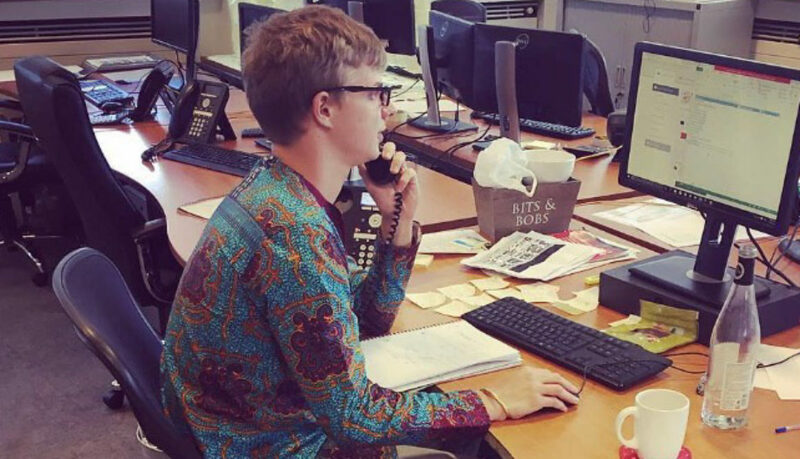 Challenges Worldwide give you a great deal of responsibility during your placement and so not only did I develop skills in market research, I also gained a great understanding of the operating procedures and the financial recording requirements that are vital to a business. Finally, and probably most importantly, the placement gave me confidence in my own ability because I felt I had a personal impact on helping this business. 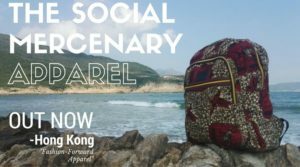 After my placement, I knew I could set my own business up no matter where I was in the world and so whilst in Hong Kong, I have seen the opportunity to take The Social Mercenary from a personal blog to a collaborative community of change makers. If you would also like to sharpen your skills as a social mercenary, fighting for social good on behalf of others Visit thesocialmercenary.com or like our FB page @thesocialmercenary. Challenges Worldwide still have places for you to work with high growth/ high impact businesses in Ghana, Uganda and Zambia in 2017. Apply today to take part in a UK Government funded Challenges Worldwide ICS placement and challenge yourself to change your world! During my 12 week placement with Challenges Worldwide in Zambia, I developed many skills that have helped me with my personal and professional development. 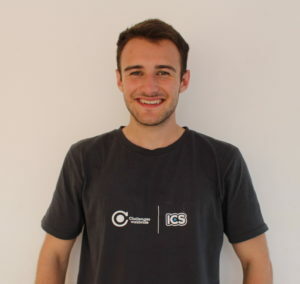 Immediately it became apparent that to be part of the ICS programme you have to be organised. Leading up to placement there is a lot to prepare for; this includes all your pre-departure medical checks and vaccinations, as well as preparing documents for Visa’s and a variety of other things. Organisation skills can be applied to all positions, and taking part in an ICS placement really helps to develop these. Strong interpersonal communication and listening skills allow you to communicate in a trustworthy manner. Working with other people, who may be from diverse backgrounds, with different perspectives, values and opinions can often be a challenge. Developing these skills is essential in consulting as countries continue to become more diverse. 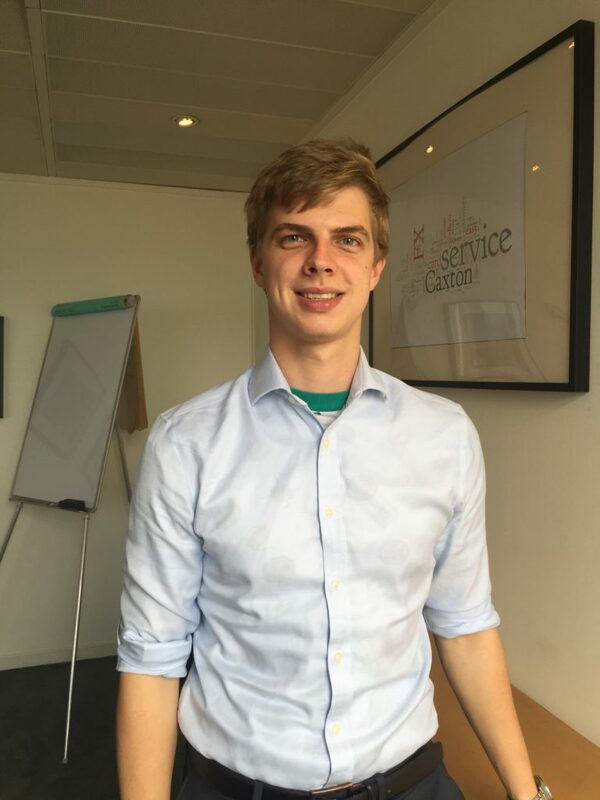 Challenges Worldwide helped direct and develop my communication techniques as well as understand the potential cultural differences that may occur on placement. Personally, the greatest area of my development was through my awareness of world issues and international development. This is a subject/industry that I find particularly interesting, and I always try to keep an eye on events. However, I struggled to understand, as a young graduate, how I could assist. This is why Challenges Worldwide/ICS is such a great programme, as they help you transfer your skillsets into unfamiliar areas. As my placement and many future placements will often be in rural, poverty stricken areas, it’s vital to understand how different day to day life is and to have the ability to apply your skills. Having a strong support network and access to resources will guide you along your journey, and these are great to share with in-country volunteers and individuals. On my return, I was much more confident to drive myself to succeed. I could comfortably be interviewed for various positions, and my placement gave me more of an idea of where I wanted to go in life, and how the skills I learned can be used more effectively. For the past two years I’ve worked in both the financial and medical sectors, I wouldn’t have had the ability to achieve this without my placement with Challenges Worldwide.